If you attend concerts and festivals in the UK, then it is likely that SJM Concerts is behind your event. When you need to contact SJM Concerts about the events they are promoting, you can use these contact details. SJM Concerts is a leading promoter of live music events across the UK. The initials SJM stand for Simon James Moran, who is the founder and managing director. He incorporated the company back in 1992. The business has grown to manage over 2,000 events a year since then. SJM Concerts co-owns the festivals T in the Park and V Festival (now RiZE Festival). Simon Moran is also the owner of the rugby league team Warrington Wolves. He is a board member of the Academy Music Group, which operates O2 music venues in the UK. SJM Concerts won several Best UK Promoter awards. They sell tickets through Gigs and Tours. Contact SJM Concerts at their head office during the office business hours. Whenever you have a question regarding a tour or one-off event which they are promoting, just call SJM Concerts on 0844 248 2294 to ask them. They can give you public information about the event or direct you to other resources. These include press releases and ticket retailers. You can contact SJM if you are escalating a complaint about their ticket services, marketing, or event management. Depending on your purpose, you might want to speak to one of the company directors. Their names are Simon Moran, Rob Ballantine, and Chris York. You can also send an e-mail to SJM at customerservices@sjmconcerts.com. For a selection of their events, SJM Concerts sometimes offers exclusive VIP packages. These are usually for bigger artists like The Killers or Jason Derulo. The packages will contain perks such as early entry, pre-show or post-show event access, and limited edition merchandise. Sometimes the artist may have signed these special items. While VIP packages normally include a ticket for the event, not all of them will include a meet and greet or photo opportunity with the artist. Purchase an SJM VIP package online or call SJM on 0844 248 2295 with any questions. You can also e-mail VIPsales@sjmconcerts.com for extra assistance. From guest lists to competitions, the PR team at SJM Concerts liaises with concert-goers to keep things running. They manage the social media channels for the company’s outlets to generate exposure for SJM events. Maintaining good relationships with the media and consumers is important to SJM Concerts. They are used to breaking records and managing high-profile events, from Take That or The Stone Roses to the One Love Manchester concert in 2017. If you have any questions about SJM or requests for an event, like VIP access or playing support slots, call 0844 248 2296. Kara McCabe is the current Senior PR Manager. 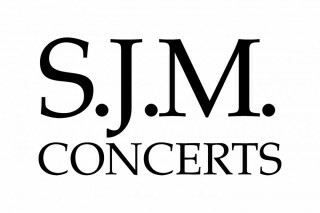 SJM Concerts has an online Press Office for members of the media to use for free. Current acts which the company promotes will have press releases available for download. These will usually include up-to-date images and artist biographies. You may need to request permission before featuring their content in your own publication. Contact SJM Concerts on 0844 248 2297 to discuss press assets. If you are a member of a media outlet and work as a photographer, you can contact SJM to ask about photo passes to cover an event. SJM Concerts might be able to grant accreditation or put you in touch with the artist’s management. SJM Concerts may only have 50-200 employees, but it is a massive company in its industry. If you have an interest in promoting events and a knowledge of live music, it could be the place to build your career. The company hires throughout the year for roles in event promotion and management. You might be dealing with tickets, accounts, or handling VIP guests or production teams at venues. Call 0844 248 2298 to ask about recruitment opportunities with SJM Concerts. If you’re feeling brave, you could send your CV and a cover letter for the position you are hoping to work in to the e-mail address vacancies@sjmconcerts.com. Getting in touch with a company like SJM Concerts can be difficult. They do not have a company website, as Gigs and Tours is their ticketing site. You can use the contact details for Gigs and Tours if you have any issues with ticket bookings. If you bought tickets to an SJM Concerts event from somewhere else, contact your provider directly. Most of the official sites sell tickets to SJM events, including Ticketmaster and See Tickets. See Tickets actually manages Gigs and Tours for SJM Concerts. Provide feedback on SJM to one of their customer service teams. SJM Concerts is on Twitter but does not monitor replies to this account.